Never trust a Drengin. That’s what I’ve learnt from my time with Stardock’s excellent Galactic Civilizations 3. They’ll screw you every time. I tried. Honestly, I gave them every chance. After all, my expansive Krynn Empire was a bastion of enlightenment and spiritual purity. At least on the surface. Behind the scenes my diplomats and spies held a noose around the neck of the galaxy, assuring my dominance of the United Planets (a kind of galactic U.N), and spreading my influence ever further through cultural treaties, propaganda stations, and good old-fashioned bribery. Though the reach of the Krynn was awe-inspiring, the troublesome, warlike Drengin were settled in a distant cluster of stars, far enough away that they thought they could defy me openly by raiding my bustling trade routes, and attacking my vulnerable allies and protectorates. Including some short-tempered space squirrels that I was really rather fond of. This would not stand. Boldly go where no man has gone before. Then blow it up with Nightmare Torpedoes. There was one problem, though. My most advanced warships lacked the deep-space stasis systems necessary to traverse the galaxy and take the fight to the Drengin. I’d left my military to stagnate, and the enemy had taken advantage. Well no longer. It was time for a new wave of Krynnic technological might. I’d have to put on hold my cultural research and deal with these upstart philistines before they ignited a galaxy-wide war. Fortunately, GalCiv 3 does a great job of allowing you to switch up your focus at any point, without making it too tricky to do so. The governance screen contains a simple graph with three axes representing research, manufacturing and your economy. 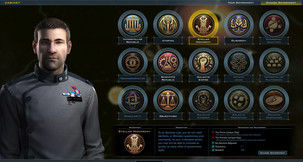 A simple shift of the cursor, and you can pump all your manpower into military production, or research to unlock key tech assets. 4X games often get bogged down in micromanagement, but that’s not the case here, thanks to a smooth, intuitive interface and simplified construction mechanics. Even with upwards of forty colonies to manage, I never found myself getting irritated with the intricacies of governing my realm. The familiar planetary maps return (though this time they’re hex-based rather than squares) and each fresh colony comes with its own idiosyncrasies. You might find a paradise world, ripe for resource extraction, but blanketed by radioactive clouds, or a frozen Hoth-like planet packed full of valuable crystals. It’s easy to mark a particular planet as your technological capital, another as your main production facility, and before you know it your empire begins to take shape. The revised main screen interface display each colony neatly and unobtrusively on the right-hand side of the screen, so you can tell at a glance what’s being built, how happy your populace is, and how efficiently your research and production is coming along. 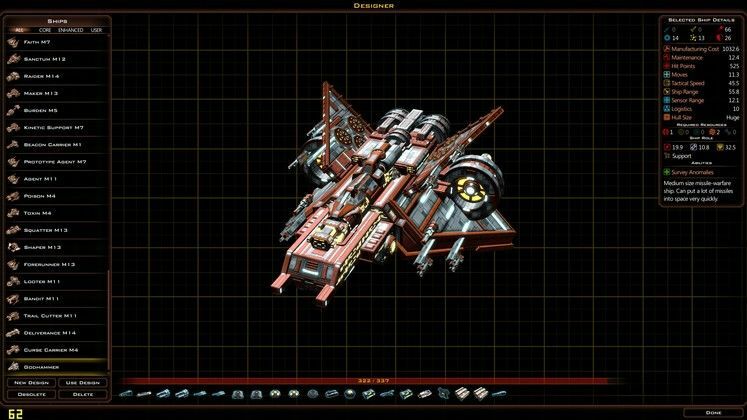 In another smart change, shipyard production is now kept separate from planetary construction, which means you can build up both your military forces and your civilian infrastructure simultaneously. The tech tree has also been vastly improved, with a lot of the clutter removed (no more chugging your way through Laser I, Laser II, Laser III and on and on…), and replaced with milestones that repay your scientists’ hard work with unique rewards; a new toy, a cooler ship, or a new diplomatic option. 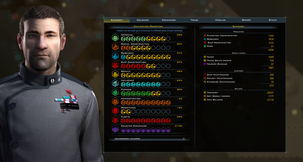 There are new specialisation options that allow you to tinker even further; research advanced shield tech, say, and you’ll be able to choose whether you want cheaper installation, improved power, or reduced mass – the latter is particularly important when you’re trying to jam as much experimental gear as possible into your most advanced ship designs. New unique resources make for an even greater dilemma. Certain special upgrades, such as targeting boosters that improve your accuracy fleet-wide, require these new resources, as do several unique and powerful planetary structures. Deciding where to deploy your final drops of priceless Prometheum gas is never an easy choice. Speaking of which, the ship designer remains as time-devouringly addictive and deep as ever. Thanks to some intelligent, simple controls, even those who don’t have the patience to painstakingly recreate an Imperial Star Destroyer or a Klingon Warbird can mix together a few cosmetic elements and create something that looks cool. The slot system for ship parts forces you to make some tough decisions about how you outfit your vessels, but also makes it incredibly easy to adapt to tactical situations; my response to the aforementioned Drengin border war was to create a new line of Hand of God Mk 1 Battleships, lighter-armoured vessels that lacked the heavy-hitting kinetic arsenal of my heavier ships-of-the-line, but were issued with deep-space stasis pods and experimental hyperdrives that allowed them to travel across the galaxy to dispense justice in the name of the Krynnic Way. Awesome. The cinematic battle viewer even lets you watch your new creations at work, though an erratic camera means that’s not always as satisfying as it should be. It’s cool to see your beloved warships flinging lasers out of every metal orifice, but the controls are a little awkward, which means you often miss out on the best view of the carnage. Not a deal-breaker, but something for Stardock to work on down the line. All those improvements to the interface and mechanics aren’t worth much without a decent foe to challenge you, but thankfully, the AI largely holds up its side of the bargain. The main thing, for me, is that alliances can actually stick, something a lot of strategy games struggle to get right. Get a couple of like-minded factions on-side (there are three different ideologies in the game, and opposing factions take a real dislike to you) and with smart use of diplomacy you can create a lasting alliance. 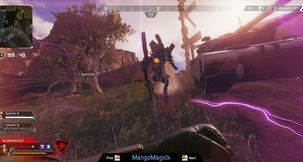 Enemies are capable of impressive adaptation, too, attacking vulnerable frontier zones and trade lanes, or forming their own alliances against you. There’s still some work to be done; factions are rather too happy to colonise planets in your domain, regardless of the fact that your sheer weight of influence will ‘flip’ them over to your side in short order, and several times I received threats from laughably underpowered rivals (there’s this big, fat, fleshy spider-thing that always tries to have a go at me for some reason), but in general you feel like you’re up against worthy and adaptable adversaries. Perhaps it’s just my peerless tactical brain, but ‘Normal’ difficulty seemed a tad forgiving. As things stand I’d recommended bumping things up to ‘Challenging’ if you’re familiar with the genre, as that seemed to offer the most balanced experience. GalCiv 3 packs in a huge amount of replayability, with a main campaign, eight races each with their own slightly altered tech paths and building trees, the ability to create your own faction from a pool of specialities and drawbacks, and a range of different options for setting up your galactic playground. 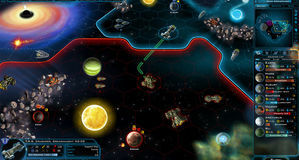 The new 64-bit requirement means that Stardock’s been able to push the galaxy sizes up to truly ridiculous levels, with thousands of star systems and planets. 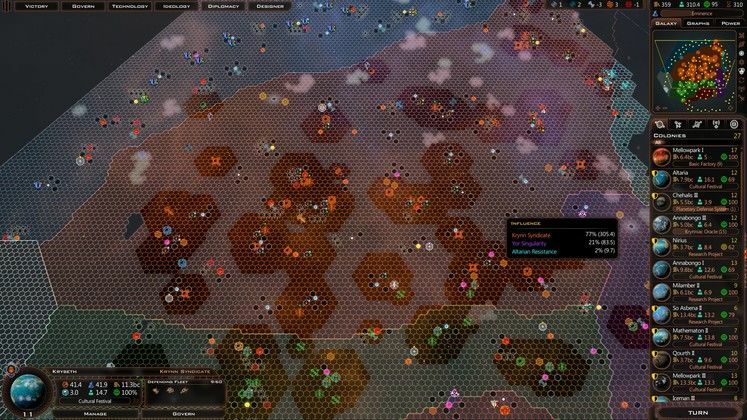 The ‘Insane’ map size is well-named; you could play for hours and hours and not even encounter half the other races populating the galaxy. With a couple of like-minded (and patient) friends, you could easily have a game running for years, dipping in every now and then for another few rounds. 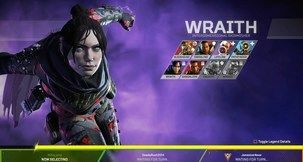 You’ll need a reasonably hefty PC to play at this level, and even then the sheer amount of gears the game has to turn will inevitably slow things down, but the option is there for those that can handle it. Though I never ran into any crippling issues, it’s worth pointing out that GalCiv 3 can be a little temperamental, performance-wise. Occasionally my cursor would slip out of control, constantly dragging the camera down until I restarted the entire game, and I did run into a few desktop crashes and notification boxes with missing text. 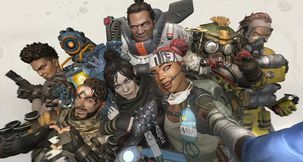 In a game of this scale these issues were forgiveable, and a solid auto-save system preserves your hard work, but don’t expect an entirely bug-free experience at launch. That said, the few issues I encountered fell well within acceptable boundaries considering the amount of fun I was having with the game. 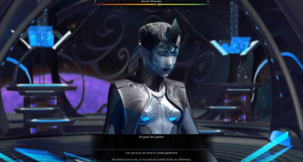 Galactic Civilizations 3 is a constantly rewarding experience, a colossal box of toys with which you can create some truly memorable stories. 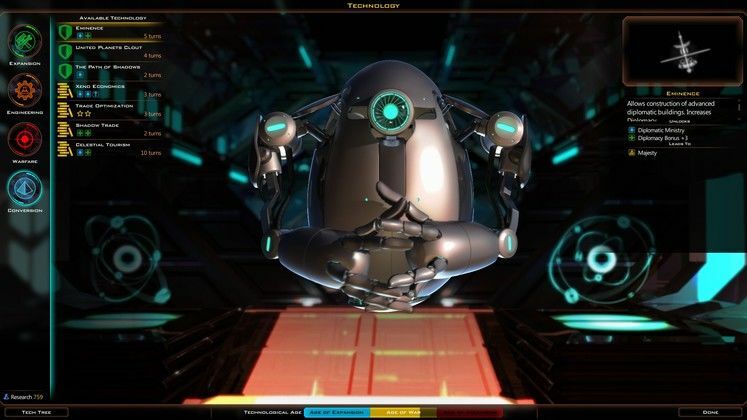 It’s the embodiment of the ‘just one more click’ cliché, a game that can have you jumping on intending for a few turns, only for you to come to your senses hours later, eyes bleary and unfocused, but that new armada of elerium-shielded warships ready to roll over your unsuspecting enemies. 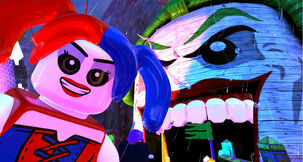 Like previous entries in the series the game requires some serious time investment, but crucially it never feels like a chore – there’s always something cool to work towards, some reward or interesting decision coming your way. It’s also genuinely funny at times, with some clever writing and characterful species design. Even some lingering technical issues can’t spoil the fun. This is the new gold standard in 4X space strategy. After a few turns of trying to scrabble an effective defense together, your new line of battleships is fresh out of the shipyards and ready to take the fight to the enemy. Streamlined mechanics, a de-cluttered tech tree and a neat, intuitive interface help avoid fiddly micromanagement, leaving you free to decide your faction's focus and direction. The ship designer is a thing of beauty. Constant sense of discovery and progression. There are a few recurring bugs and technical issues.